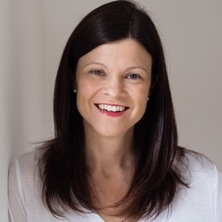 Associate Professor Littlewood holds a conjoint A/Professor Nutrition position, Human Movement and Nutrition Science, The University of Queensland and lectures in paediatric obesity and health management. She has completed both a Masters of Medical Science and PhD in the area of Paediatric Nutrition and is currently completing an MBA. Associate Professor Littlewood is the Director, Health Services Research, Queensland Children's Hospital, Children's Health Queensland Hospital and Health Service, Co-Chair, Queensland Child and Youth Clinical Network, Clinical Excellence Queensland and Member, Queensland Networks Executive Committee, Department of Health. A/Prof Littlewood was previously a Board Director with the Dietitians Association of Australia. Associate Professor Littlewood owns a small private practice in Brisbane, providing advanced education and training services nationally and specialist outpatient consulting services for patients and families in Queensland. Sigafoos, J. S. and Littlewood, R. (1999) Communication intervention on the playground: A case study on teaching requesting to a young child with autism. International Journal of Disability, Development and Education, 46 3: 421-429. Littlewood, R., McGowan, J., Trocki, O. and Shepherd, K. (1999). Muscle wasting following severe traumatic injury in children - Implication. In: Rehabilitation at the Extremes: 7th Annual Scientific Meeting of AFRM. 7th Annual Scientific Meeting of AFRM, Hilton Hotel Adelaide SA, (x-x). 23-27, March 1999.